The "Malita" had to be taken out of servic for repairs after one of its ramps was damaged on June 9, 2012. 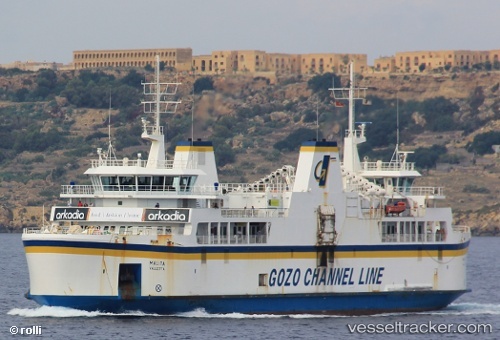 With only the smallest ferry to Gozo remaining in operation, many Maltese hoping to cross over to Gozo this morning had to wait for over an hour to board, others were left stranded until the Gozo Channel's largest vessel, the "Malita", went back in service on June 10. The situation was expected to return to normal shortly. In the morning only the "Gaudos" was used, but the "Malita" was on its way to Cirkewwa at around 12.45 p.m.